I’ve been a bit obsessed with turkey burgers lately. I don’t know if it stems from the fact that I can cook them better than regular burgers (at least in a Brooklyn apartment) or if subconsciously I know it’s healthier. But for the past few month’s I’ve been playing around with new spins on the original turkey burger, like pesto, fresh herb and cheese stuffed. My latest invention? 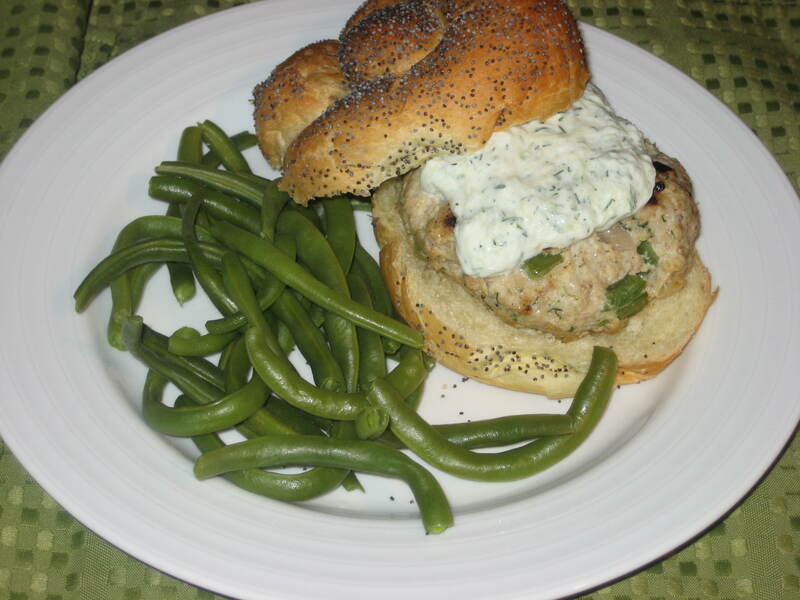 Mediterranean Turkey Burgers! For these burgers I mix in some Mediterranean inspired ingredients into the burger mix–green peppers, onions, feta, fresh dill–then top the finished burgers with a bit of homemade Tzatziki (another of my latest obsessions). Simple, healthy and super tasty. Heat olive oil in a small skillet. Add onions and peppers and saute over high heat until softened. Let cool slightly. In a large bowl combine onions, peppers and all other ingredients. Mix with hands until well mixed. Form 5-6 burger patties and cook as desired (I use a grill pan and and cook over med heat until cooked through, flipping occasionally). Place burgers on bun or roll. Top with homemade tzatziki. Serve and enjoy. Previous postTaking the Weekend Off – Have a Beer!